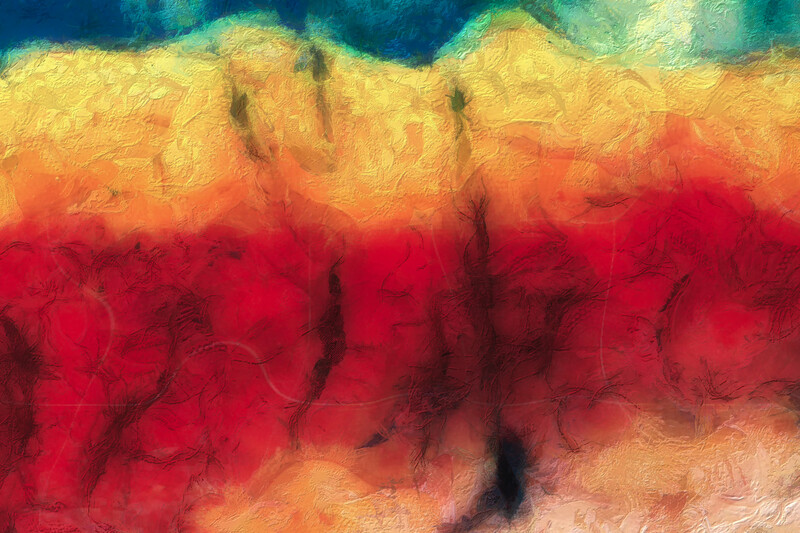 This abstract, painterly work is inspired by a temperature map of the moon. We may think of our neighbour as placid, yet the thermal range of its surface is extreme. 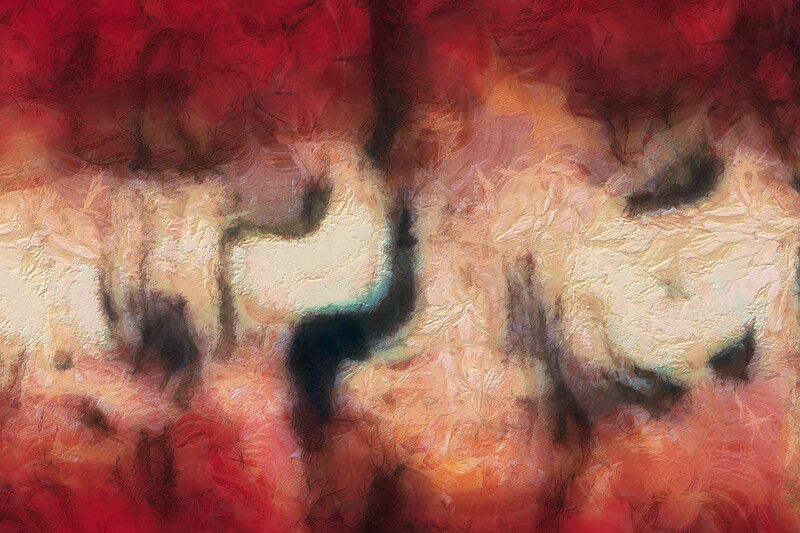 This dynamic phenomena is expressed through energetic brushwork and changing forms. I gaze from earth at what appears to be a grey, inactive world. Distance serves to seperate the light and dark from heat and cold. I ponder on the difference of my casual view to how the touch of sun to darkest night, in two week turns, roasts then freezes every rock that lays upon its surface. 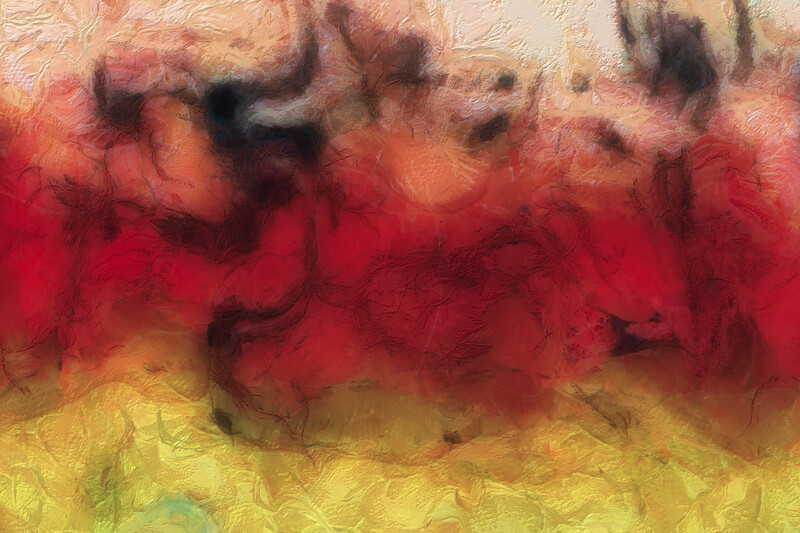 Vivid pigments and movement in this artwork present an energetic thermal footprint of the moon. Dark areas reveal voids in the data stream. Colours splash as if high seas of crashing waves. A vast cavern of salmon-pink and thick cream-white separates the fire of heat above and below. The temperature of the moon during direct sunlight can reach well over twice that of the hottest place on earth (123 Celsius, 253 Fahrenheit), then plunge to a deadly minus 233 Celsius (minus 387 Fahrenheit). It is not a hospitable place, and yet we choose to return. This sphere of brutal change may prove to be our reservoir of energy, the catalyst of our progress to explore far further from our home.